The orange-winged amazon are also known as the orange-winged parrots or loro guaro. 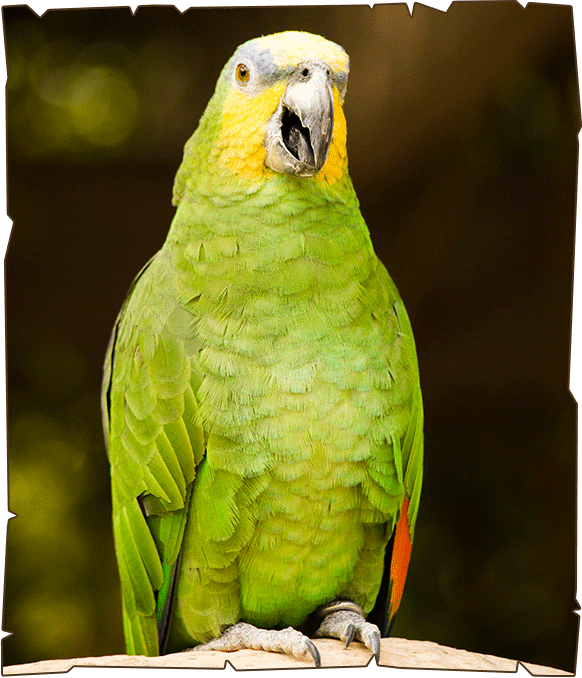 They are large amazon parrots and mainly come from South America, Columbia, South of Peru, Bolivia and central Brazil. They are chiefly green parrots with blue and yellow feathers on their heads. Their upper mandible is grey and they have orange feathers in their wings and tails. The male and female amazons appear to be identical externally. They mainly dwell in tree cavities. They are noisy birds and have a loud and high-pitched sound. Their diet includes fruits and seeds, including the fruit of palm trees and sometimes cocoa. They are affectionate, attractive and entertaining birds. They are popular due to their ability to talk and capability to perform different types of tricks.